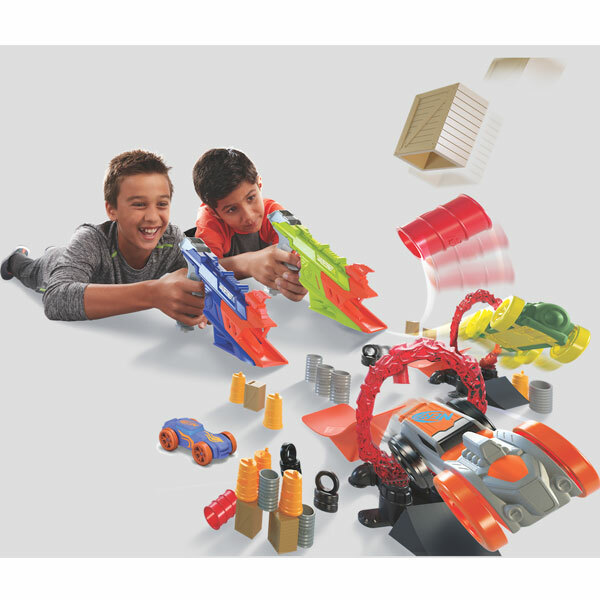 Hasbro launches new innovative blaster and launching foam vehicles toy line, Nerf Nitro. At the New York Toy Fair, Hasbro revealed a new line to the Nerf family called Nerf Nitro. Nerf Nitro is a blaster that launches foam vehicles instead of foam darts. 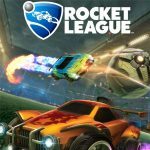 It’s a new racing vehicle product line and it will bring fans the thrill of speed, jumps, tricks, and action. Simply load one of Nerf Nitro foam vehicle into the blaster’s launcher and pull the trigger to send the vehicle into overdrive. Fans can create spectacular stunt shows with over 48 vehicles and accessories. According to Nerf’s marketing director, the Nitro line is an exciting new development, driving innovation for the Nerf brand and bringing new ways to experience the Nerf brand. By combining the world of blasters with stunt cars, Nerf was still able to capture their essence and bring the power, thrills, and dependability of the Nerf brand. Nerf Nitro delivers a unique way to play with Nerf and creates a new way to have fun with Nerf. 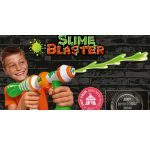 With the blasting action and cool tricks and stunts, it’s sure to be a hit with Nerf fans.